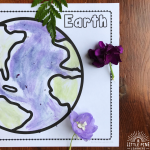 If you’re are looking for a fun and creative Easter egg activity, you’ve come to the right place! 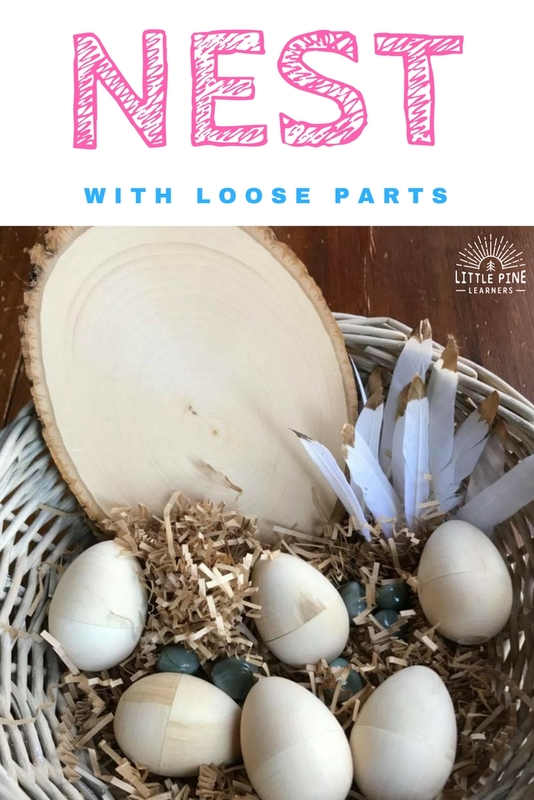 These loose parts Easter eggs will keep those little hands and BIG imaginations busy for a long time. 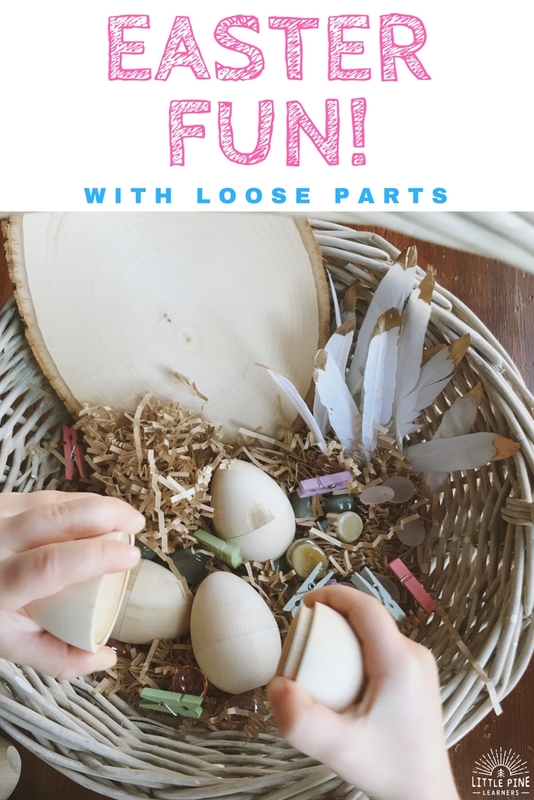 First of all, let me share with you a little background information on loose parts. 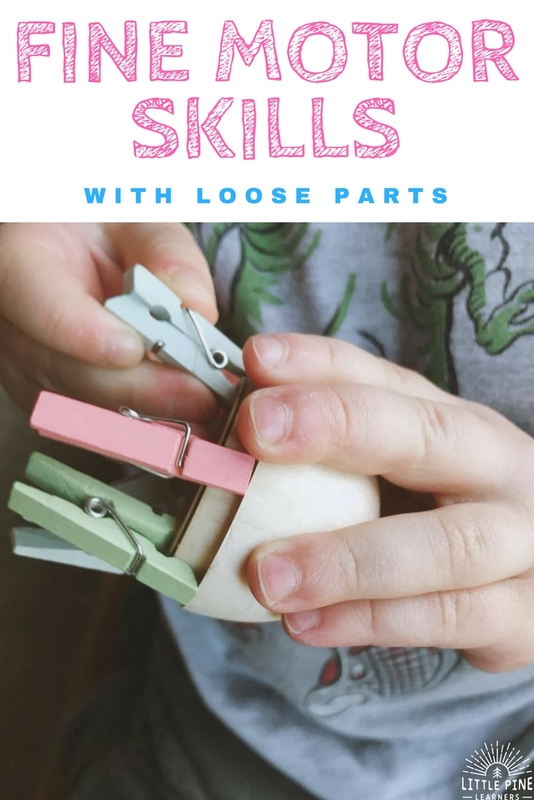 Loose parts are any natural or synthetic found object or material that children can move, control, or manipulate and change while they play. 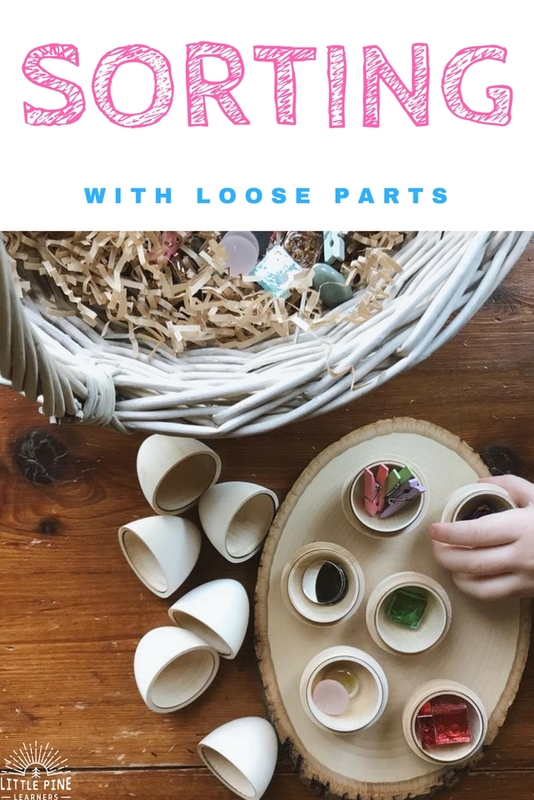 Loose parts do not have a single purpose and can be used in endless ways. For example, a stone could be used as a character in a story or whatever a child may desire. 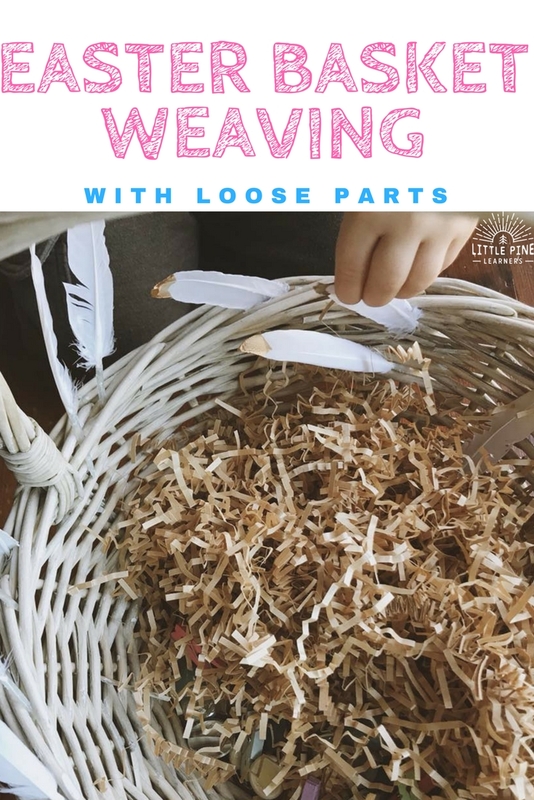 Many toys have a specific purpose, but loose parts do not and spark creativity! I should mention that I got this idea while walking down the aisle of Michael’s craft store and purchased most of my supplies from the store. I searched Amazon for similar products for your convenience! The wooden Easter eggs listed below are from the exact ETSY store I purchased from. 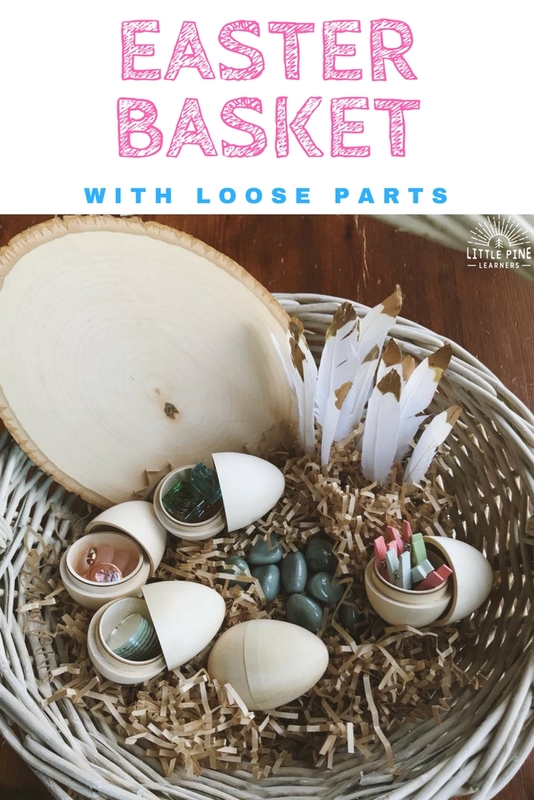 Feel free to substitute any loose parts you think your children would like! 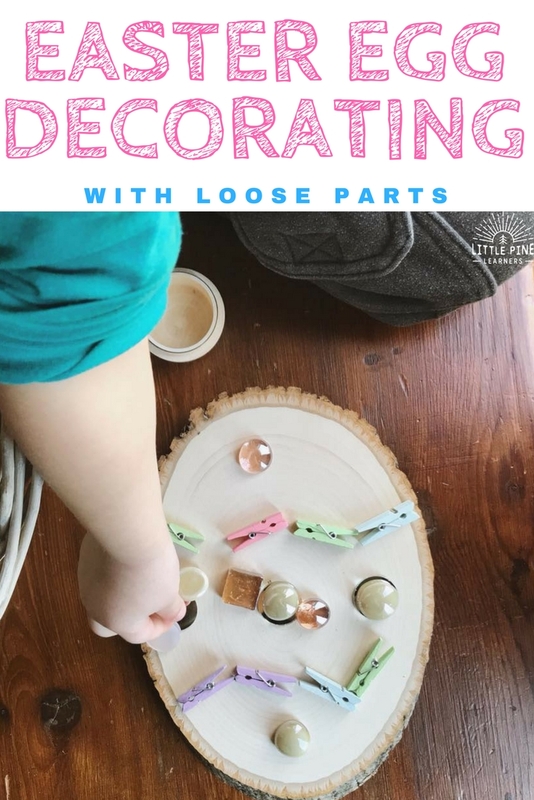 Most of our loose parts are items found in our home or yard, but I often buy some seasonal craft materials to add to our collection. Always make sure your choices are age appropriate and aren’t choking hazards. I set out the Easter basket as an invitation to play and my boys quickly discovered the basket. They instantly started opening the eggs and were so excited to explore with the loose parts that hid inside! First, the boys started weaving the feathers into the basket. This was great hand eye coordination practice! They also loved pretending the oval piece of wood was an Easter egg and used the loose parts to decorate the wood. Their designs were beautiful! My four year old loved making different silly faces. The feathers made for a great spiky hairdo. 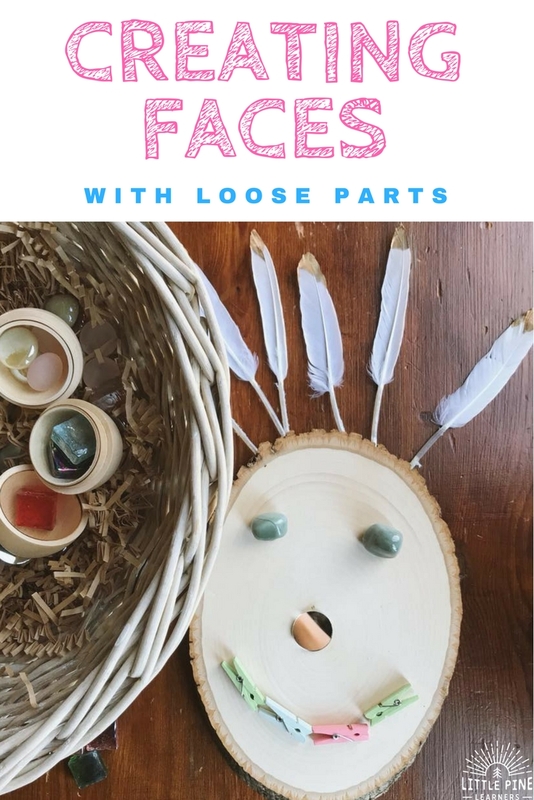 He spent at least fifteen minutes making different faces and started saying, “f is for face!” We will be adding these loose parts to our alphabet and beginning sound activity since he is showing interest in this skill. I couldn’t resist and had to get in on the fun! 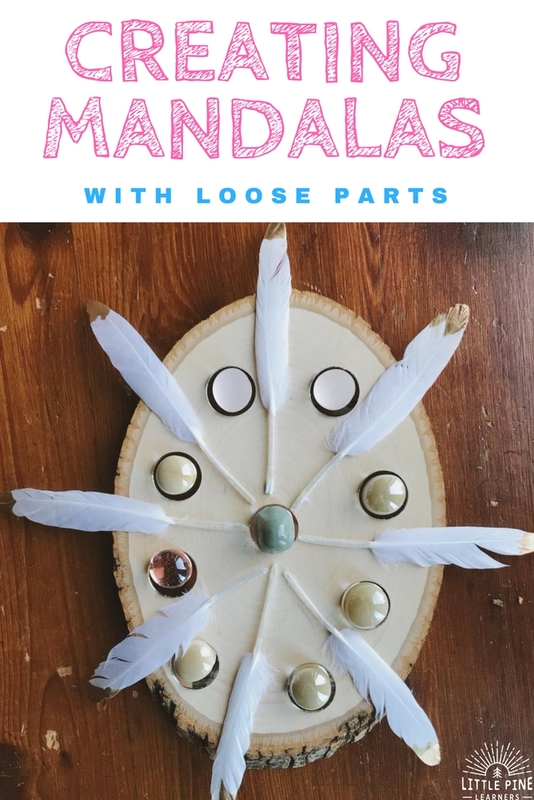 I modeled how to make mandalas and we talked about the different shapes, patterns, and designs. My boys also tried to make their own creations. My two year old worked his fine motor skills and practiced clipping the clothespins on the eggs. His older brother grabbed another egg and started to do the same, but used the clothespins to make a pattern around the egg. It was fun to watch them work with the same materials in different ways! They had a blast turning the basket into “soup” and mixed all of the loose parts together with the brown shredded paper. After a while of mixing, they sorted the loose parts back into the eggs. My boys commented that the basket looked like a bird’s nest once they were finished playing. We will definitely revisit this activity when we explore the bird life cycle! I hope you give this fun activity a try! 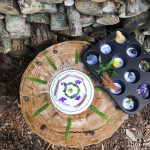 I promise your little nature lovers will love it as much as my boys. 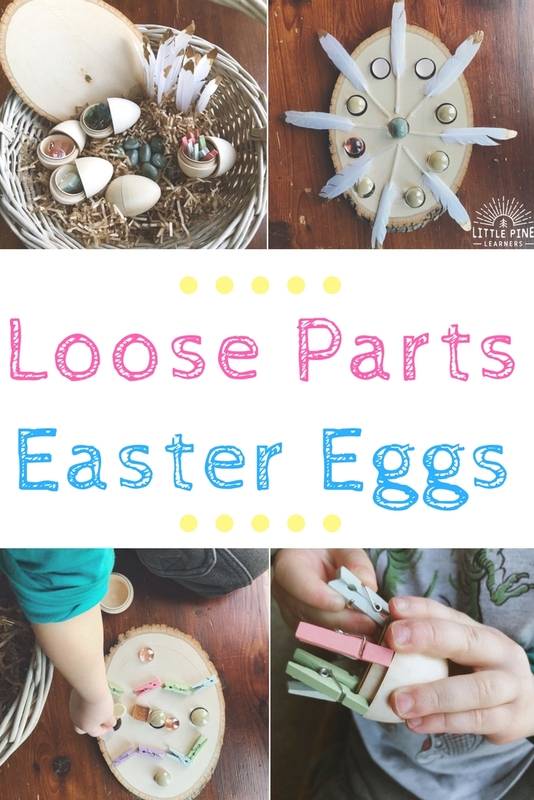 Looking for more fun Easter ideas? 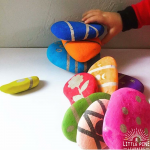 Check out Easter Egg Stacking Rocks!